"I needed a root canal, and Dr Ella was able to get me in quickly, and get the radiographs and root canal done that day." "Have been a patient since 2015 and what I can say from my own experience is that this practice is one the best ones around this area." "Dr. Shuster is amazing. I remember being afraid of the word "root canal" when I heard it, but with Dr. Shuster it was PAINLESS." "Dr. Shuster is amazing!!! She has taken me in for three last minute emergencies, one of them being on New Year's Eve." "Dr. Ella Shuster made me smile again! She did an amazing job on my front teeth. I recommend anyone to see Dr. Shuster." "I took a chance with Academy Dental Care, and I had a great experience! I went for a cleaning, and the staff was really great and friendly." 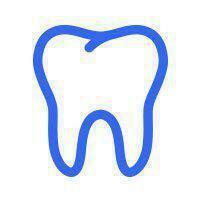 "Overall, I'm very happy to be a patient for this dentist. I highly recommend coming here." "Dr. Ella Schuster at Academy Dental Care is the best! My only regret is that I didn't find her sooner and could have saved thousands on other dental procedures."